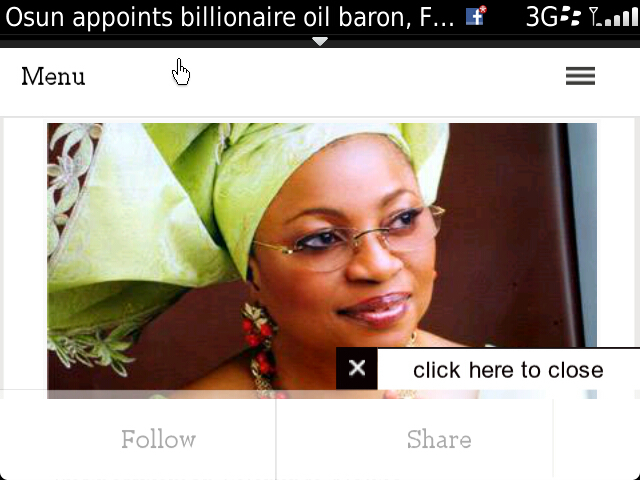 The Governor of the State of Osun, Rauf Aregbesola, has appointed the third richest woman of African descent in the world, Folorunso Alakija, as Chancellor of the Osun State University, Osogbo. Mr. Aregbesola, while congratulating the new Chancellor, said Mrs. Alakija’s antecedent and sterling qualities as a God-fearing woman, a person of honour, integrity and successful business woman would no doubt impact positively on the running of Osun State University. “‎While congratulating you once again, please accept the assurance of best regards of the people and Government of Osun”.